Currently reading Sarah Helm’s book ‘A Life in Secrets: Vera Atkins and the Lost Agents of SOE’. 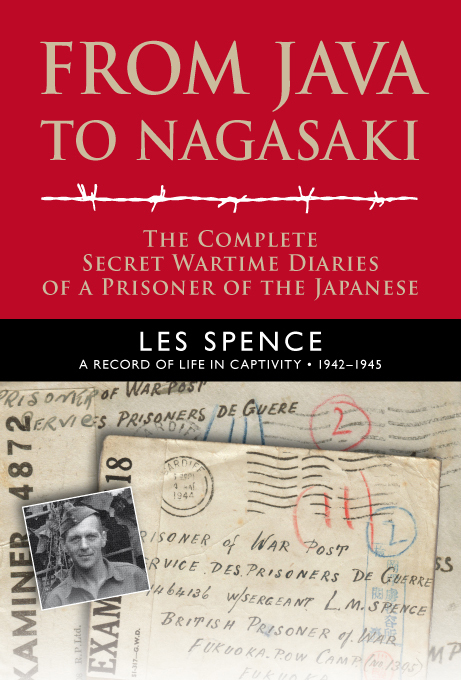 It’s a fascinating portrait of the SOE officer who looked after agents heading into the field. 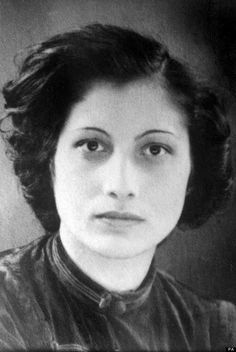 The remarkable Noor Inayat Khan features prominently. 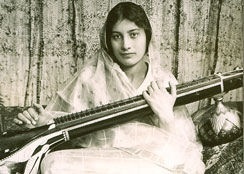 Noor (she later used the name Nora) was born in 1914 in Moscow to an Indian father and an American mother. The family moved to Paris, where she was educated. She later worked writing childrens’ stories. 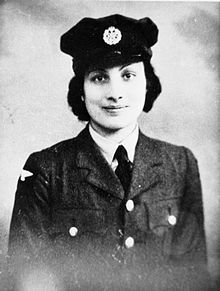 Noor escaped to England after the fall of France and in November 1940 she joined the WAAF (Women’s Auxiliary Air Force). In late 1942, she was recruited to join SOE as a radio operator. In June 1943 she was flown to France to become the radio operator for the ‘Prosper’ resistance network in Paris, with the codename ‘Madeleine’. Many members of the network were arrested shortly afterwards but she chose to remain in France and spent the summer moving from place to place, trying to send messages back to London while avoiding capture. In October, Noor was betrayed by a Frenchwoman and arrested by the Gestapo. In November 1943, she was sent to Pforzheim prison in Germany where she was kept in chains and in solitary confinement. Despite repeated torture, she refused to reveal any information. In September 1944, Noor and three other female SOE agents were transferred to Dachau concentration camp where on 13 September they were shot. Noor was 30. For her courage, Noor Khan was posthumously awarded the George Cross in 1949. One more for bridge lovers. 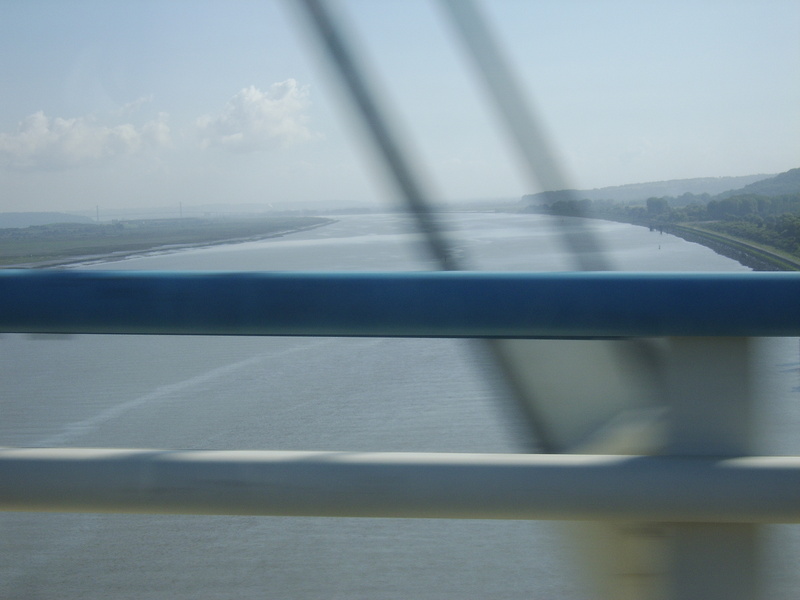 Some photographs taken on a return from a research trip to the Normandy beaches a couple of years ago. 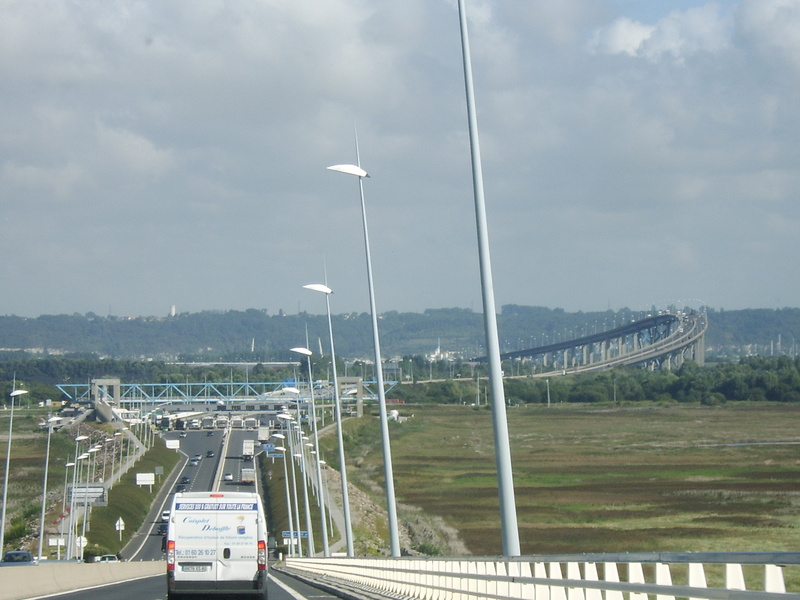 The sun was shining as we approached the Pont du Normandie, the 2,143-metre long cable-stayed road bridge which crosses the river Seine between Honfleur and Le Havre. 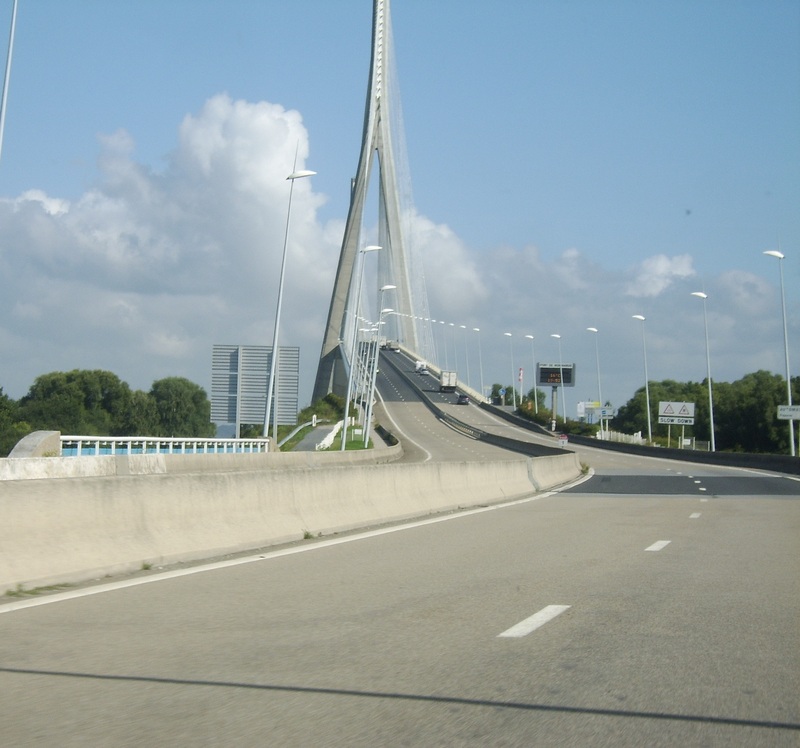 Construction of the bridge, which was designed by Michel Virlogeux, began in 1988 and lasted 7 years. 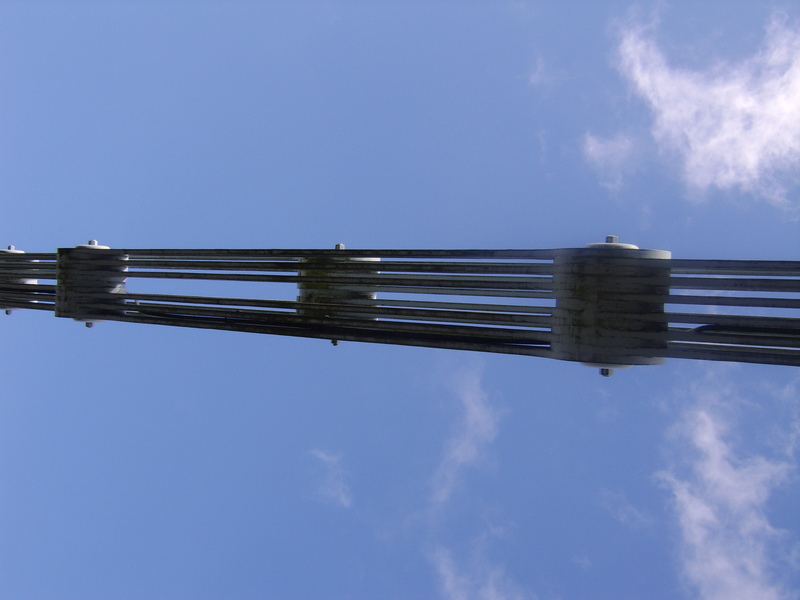 The bridge opened on January 20, 1995. 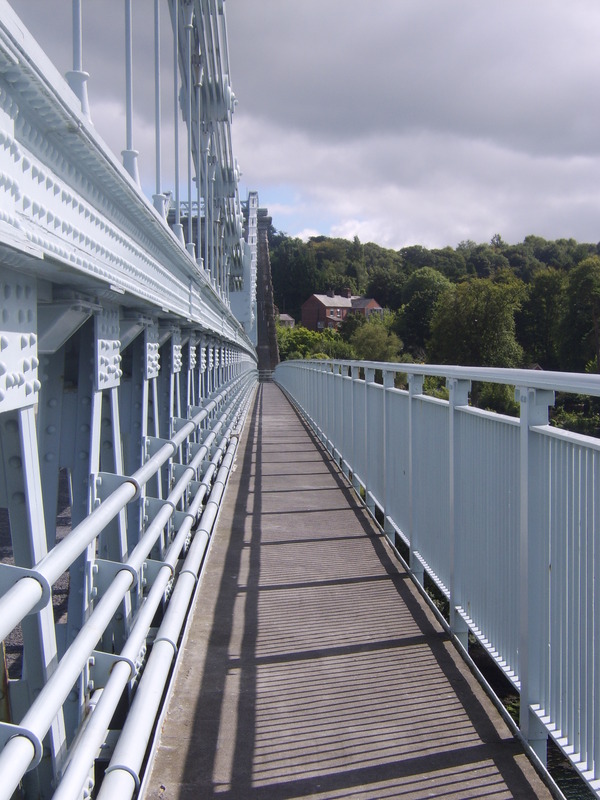 There is an 856-metre span between the two piers. 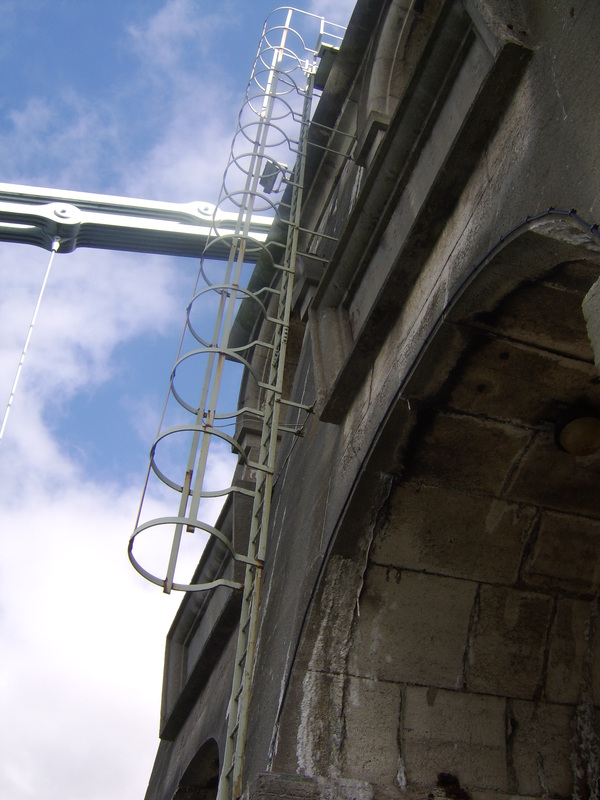 At the time of the construction this was the longest span of its kind in the world. 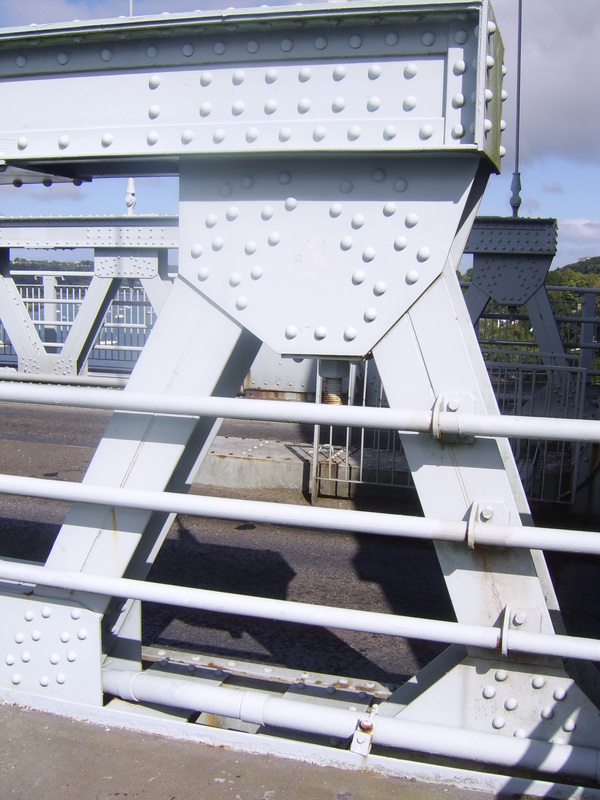 Continuing east you then immediately cross another remarkable bridge. 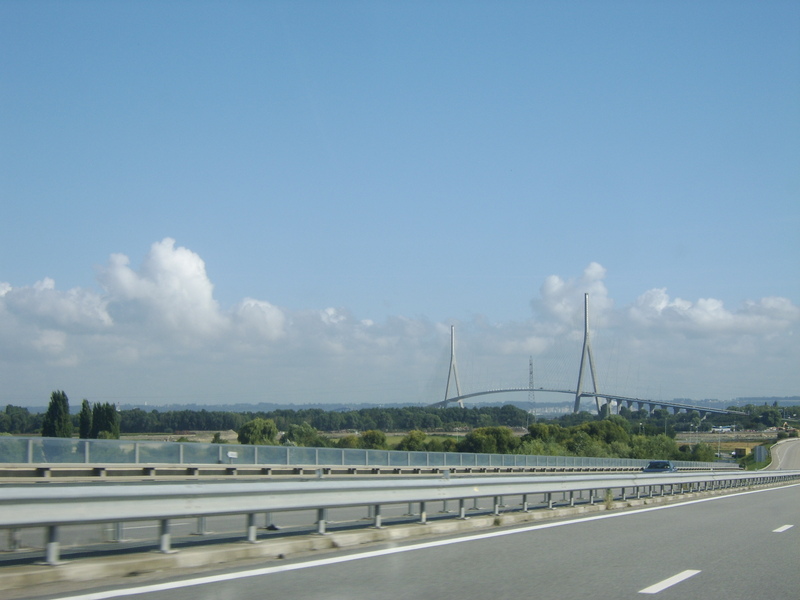 It is a lovely stretch of the journey back from Normandy to the Pas-de-Calais area. ‘Superb’ thriller now only 77p! FAREWELL LEICESTER SQUARE is now only 77p on KINDLE. 2005. Terrorists target London in an attack which makes headlines around the world. Elsewhere, a fishing boat makes a remarkable find: a World War II bomber, hundreds of miles from where records show it disappeared. The two events combine when journalist Jon Kilkade takes a blood-curdling phone-call. It describes a suicide mission to destroy London. Not in 2005, but during the chaotic final months of the Nazi Third Reich. The action in this fast-paced novel switches from occupied Jersey to the lives of SOE and Resistance fighters in Belgium. At its heart is a deadly circle of Nazi fanatics intent on creating a final blitz which would see the people of London wiped from the face of the earth. A riveting thriller in the tradition of Jack Higgins and Alistair MacLean. 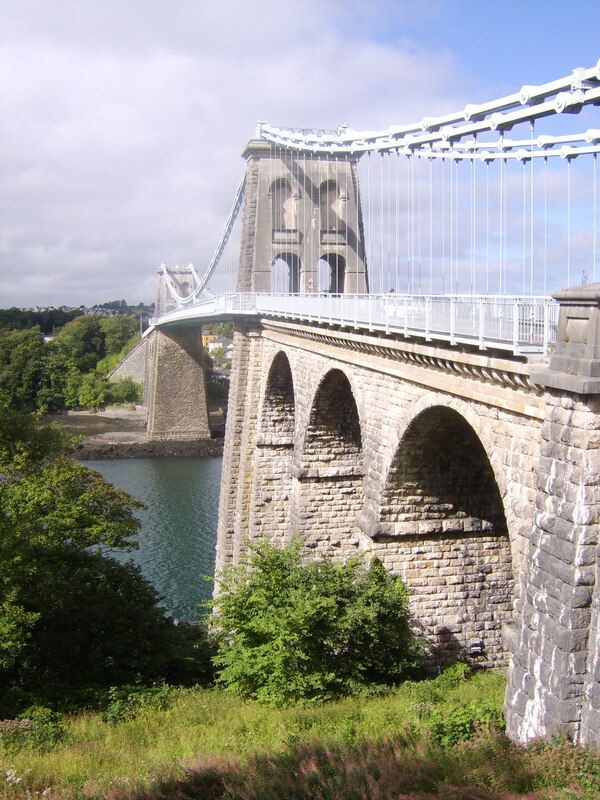 For those of you who enjoy a good bridge, here is one of the finest – the Menai Suspension Bridge, which links the island of Anglesey to the mainland of Wales. 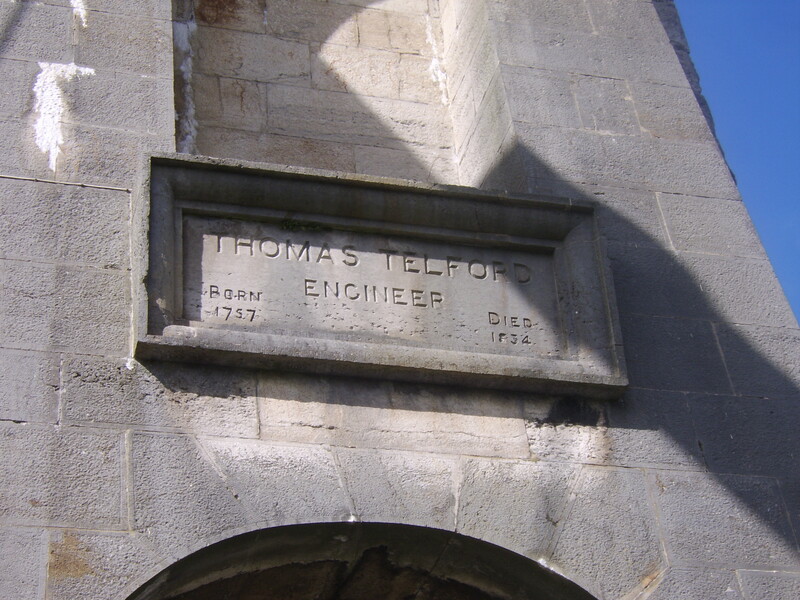 It was designed by Thomas Telford and completed in 1826. Before the bridge all movements from the island were by ferry. 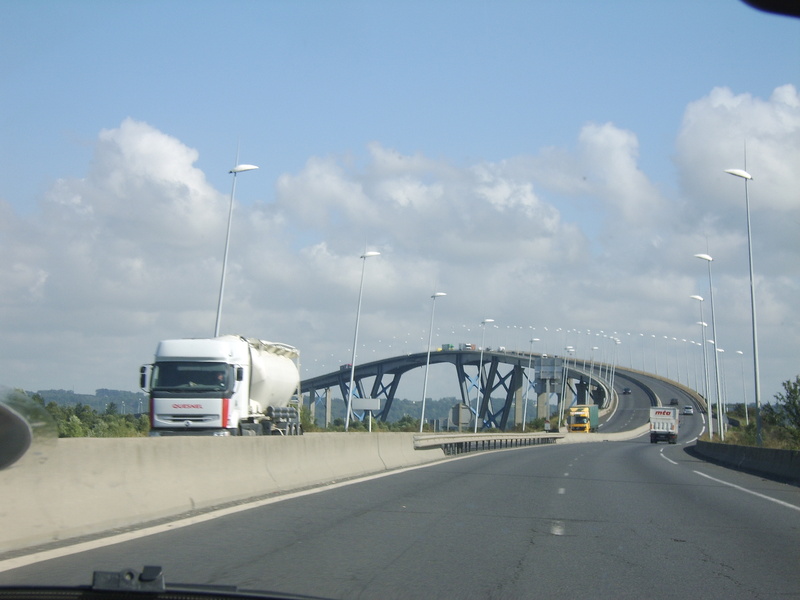 But links had to be improved from Dublin, via Holyhead, to London. 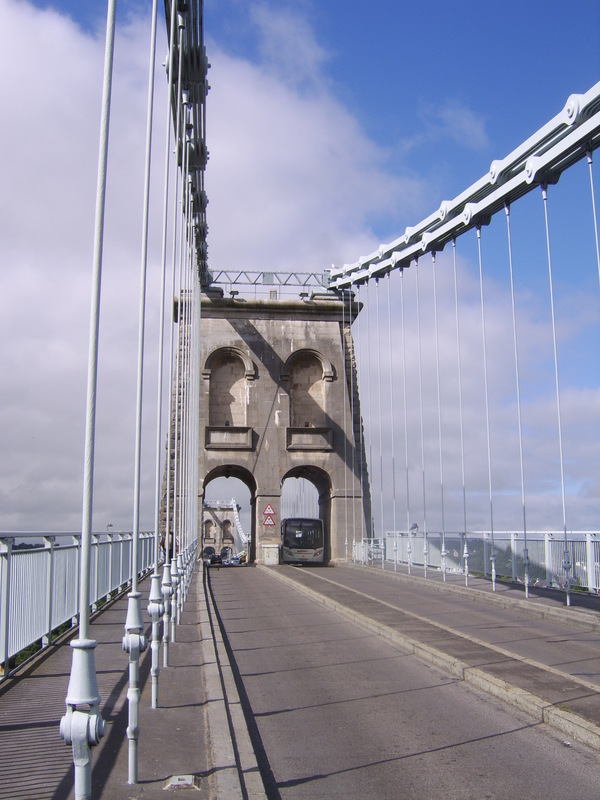 The design of the bridge had to allow for Royal Navy sailing ships 100 feet (30m) tall to pass under the deck at high tide. 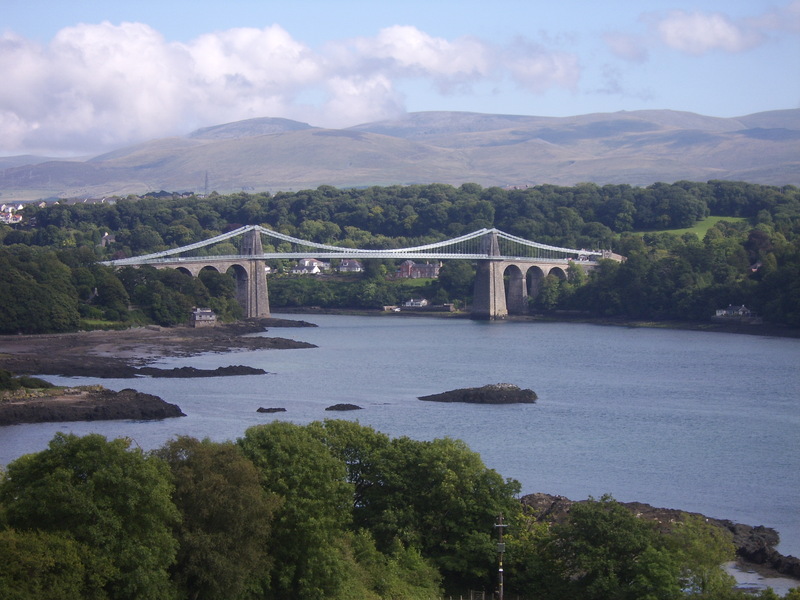 I took these photos during a visit to Anglesey in September 2013.